“If you build it they will come”. The oft-quoted line from Field of Dreams seems to fit the Kickstarter narrative to a tee. Kickstarter is filled with overnight success stories–from Pebble to Ouya–who turned brilliant ideas into millions of dollars and national exposure. It’s easy to attribute their success to amazing products, the rise of crowdfunding, and a magic dose of virality. From the outside looking in, it’s never been easier to achieve one’s dream of launching a product, movie, or album. Kickstarter, IndieGogo and other crowdfunding platforms make those dreams a tangible reality. We certainly thought that was the case. 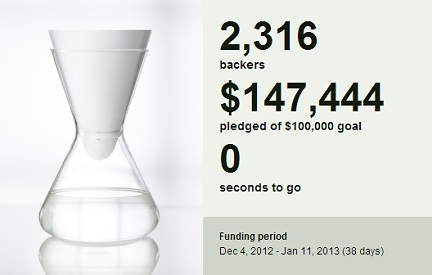 Back in December 2012, we had the idea to launch Soma–the smart, beautiful, sustainable water filter–on Kickstarter. We collaborated with some of the top experts in water filtration and industrial design, and were ready to blow away the world with a revolutionary product. However, after speaking with the creators of some of the world’s top Kickstarter projects, we learned that an amazing product is only half the battle. There are a number of maladies that can kill your Kickstarter campaign. And there’s nothing more depressing than watching your pledge total flatline while the days tick away. We used the collective wisdom, avoided common pitfalls, and were stunned by the success: Soma reached its goal of $100K in 9 days. We’d like to share some of the secrets that we learned along the way. Here are 6 mistakes that can kill your Kickstarter campaign before it starts (and how to avoid them). Visual mediums are the strongest way to tell a story. Days spent writing and rewriting copy, polishing value propositions, and gathering customer testimonials are nothing without powerful imagery–at the end of the day, photos and video are the main elements that will drive interest and demand toward your campaign. Step one is to invest in good product photography. Unfortunately, your iPhone 5 camera and your buddy with that incredible Instagram account are not going to cut it. (Although instagram for business can be extremely effective!) Find a professional photographer and develop a clear cut idea of how you’d like the shots to be set up. What angle should be used? Are there props in the background? Will you have people in the photo? All these questions and more will need to be determined, in collaboration with a professional, before you shoot photos. Of course, defer to the photographer’s expertise, but definitely do not just show up to a photo shoot and hope for the best. The same line of thinking goes with your video. You need to have a compelling story scripted out before you shoot. Have a memorable and relatable founding story, showcase beautiful photography, and include a clear call-to action near the end. Include some outside testimonials from friends and advisors (or if you have it, press), for a social proof boost. Royalty-free music is easily available online to drive the emotions behind the video. You can see the Soma Kickstarter video here. Friends and family will be your Kickstarter campaign’s lifeblood. Don’t be bashful to ask for their backing–they’re your life supporters and will be happy to help toss a few bucks your way. Their early boost will provide some much needed momentum. The value from your personal networks will be much more than dollar donations, however. In our case, friends introduced us to bloggers and promoted Soma to their personal networks via email, social media, and word of mouth. Treat your friends as your own personal super heroes. If you’d like, go a step further. I made segmented email lists for my personal network. I exported all of my Gmail contacts to an Excel spreadsheet (about 7,200 total), and then I deleted contacts which I did not have a meaningful relationship with (about 1,600), and further divided the remaining contacts (1,200) into three groups: influencers, in-the-know friends, and acquaintances. I identified my influencers using Klout, which measures online influence. Go to www.klout.com, connect with Facebook, select “friends” from the drop down menu in the upper right hand corner of the screen, then click on the “top klout score” tab half-way down the page on the right. This will show all of your Facebook friends, ranked by Klout score. Anyone with a Klout above 60 was put on my influencer list. Our goal for this group was for everyone to share Soma on Facebook and Twitter, right when we launched, to create the surround sound effect. Even with the backing of friends and family, you’ll still need to reach a large segment of the population with which you share no prior relationship. By far the most effective way to do this is to garner online coverage for your Kickstarter project. This is not something that starts once your Kickstarter product launches, however. It needs to be planned out weeks–if not months in advance. The first step is building a pitch list. One might start with the question: what publications should cover me? In fact, the better question is: what publications have covered another project like mine? Here’s a trick using Google Images. Find projects similar to yours (this can be done easily by searching through Kickstarter’s Categories), and download the images from their campaign. Drag and drop that image file into the Google Images search bar, and you’ll have a list of results of everyone that has posted that image. Pretty sweet, huh? Identify media targets and writers, and then start looking for intros. Although these people can be pitched cold if absolutely necessary, a warm intro from a friend or colleague goes a long way. A great place to start is to look for mutual friends on Facebook and connections on LinkedIn. Ask your friends for intros–that’s what they’re there for. The key is to genuinely form friendships with bloggers. They get pitched every day by strangers who don’t care about them and only want publicity. Do the exact opposite. Really care about them. Figure out ways to be helpful. Hang out. Even if they don’t end up covering you, at least you’ll have a new friend. In the modern internet era, “social sharing” can almost seem like a cliche. You might think, “sure we can put this on Facebook, but who buys products based on a Facebook status update?” In fact, our #1 driver revenue by a large margin was Facebook, with Twitter not far behind. It’s true: people trust in their friends. You’ll need to activate your base constantly. Every purchase should be accompanied with a prompt to share. Send out updates–new press, new angles, product developments–and package each with a social sharing item. Every share helps. Some might argue that the keeping sales consistent is the goal, so they spread out the dates of their press coverage. This is wrong. You need to be omnipresent, especially at the beginning. People should get the feeling that you’re everywhere, all at once. This creates a snowball effect which leads to an avalanche. Press leads to more press, buys lead to more buys, and word of mouth is amplified. Laser focus for the first two days of launch. That means activating your friends all at once. It means following up consistently and trying to get them to share with friends. Activation is key. 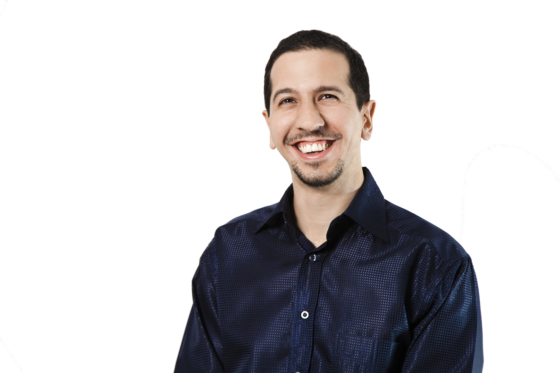 You want to maximize all press, email acquisition, and social sharing for the first 48 hours of launch. Some press leads to more press, and if you can, swing early sales into being featured on Kickstarter’s Most Popular section, which drives even more revenue. These aren’t people that bought a product on Amazon–they’re your earliest supporters. Your biggest supporters can turn into your most vocal enemies if you ignore them. Send consistent updates. Share the development of your product, share cool sneak peeks, and company updates. Send lots of pictures, take lots of videos. Kickstarters expect to here from you at least a couple times a month. Don’t let them down. As many as 84% of Kickstarter projects are delayed. Chances are, you won’t fall into that 16% bucket–there are too many unanticipated delays with creating something from scratch. But, you need to communicate things as they come up. The Kickstarter base can be very forgiving, as long as you stay in constant contact with them. Respond to comments as they come up. Respond to messages. Otherwise, you could be flooded with complaints and crowd mob mentality will turn on you. Mike Del Ponte is the Founder and CEO of Soma. Previous Post » Professionalism Or Personality: Which Matters More To Your Business? I’ve heard about Kickstarter and other similar sites before, but never took the time to get insights and find what makes this business model so attractive… I now understand the idea behind the concept much better, thank you! *** Is there a limit to what type of projects can we submit to Kickstarter? Great information on what steps to avoid and what steps that will bring more value to a campaign and or start up. I was not aware of http://www.klout.com to search out my circle of influences that I was not aware. I will also check out SOMA for my water filter options. Learnt so much from reading this. I’ve been thinking about doing a kick-starter campaign but I had doubts. This has really inspired me. Thanks for the awesome advice! Thanks Victoria! Glad to help. I didn’t sign up with Kickstarter, but I did sign up with Indiegogo and can apply these tips to my campaigns. The one area where I get stuck is what to give the givers. If I’m doing a campaign to raise money for a nonprofit, I’m not sure what I can give donors besides a t-shirt, hoodie, or sweatshirt, all of these items I can purchase and give to donors. I guess I could sponsor cages (animal shelter) and give these as gifts too (donors will have their name engraved on a placard that goes on the cage). I’ll have to think about it. All great ideas – I especially like the idea of sponsoring or giving a placard. Good luck Amandah! Thanks for the article. In addition to search by dragging an image to Google image search bar I use Tineye.com to find who uses the image. There is a lot of good stuff in this post! Thanks for Sharing! ignoring your backers, slow and steady “drip campaigns” and last minute PR unfortunately are all too common and truly are campaign killers.